« YouTube Interview with the Sisters of Life! We had guests at my house on Friday, so I wasn’t able to post our usual Friday “Focus on Fashion”. Never fear! I thought I would post it today instead, despite the fact that it is most definitely not Friday. I ordered this dress when it finally hit the “sale rack” online and have not been disappointed. It is feminine, modest, gorgeous, and doesn’t have to be dry-cleaned (a fault with so many good quality summer dresses). I just hate to take it off! It is well-worth its weight in gold for sure. This Short-Sleeve Gauze Dress is now only $50. And, for our gentlemen readers, I am going to try my hand at a more masculine fashion focus as well. 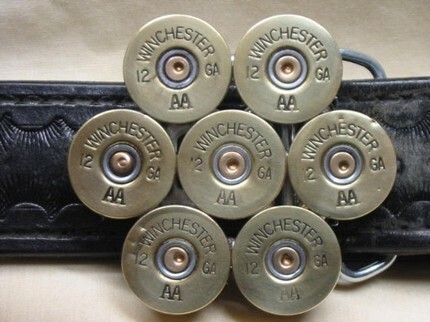 I thought this Shotgun Shell Belt Buckle for $23 was a good manly bet. Other calibers are available; just ask the seller!